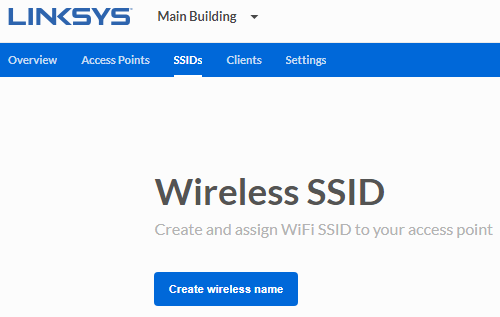 Follow the steps below to learn how to create a wireless SSID through the Linksys Cloud Manager. Access your Cloud account. To learn how, click here. 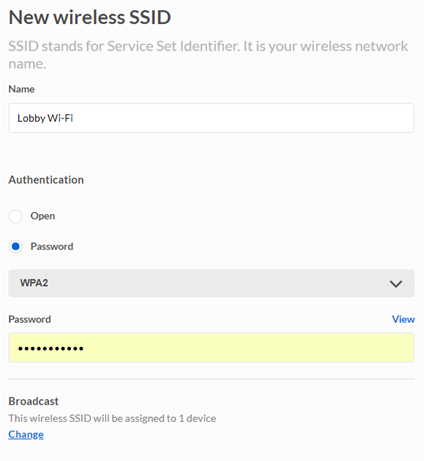 NOTE: If a wireless SSID already exists, you will see New wireless SSID button instead. You can decide to leave the Authentication open or you can click Password to create a WPA2 password. 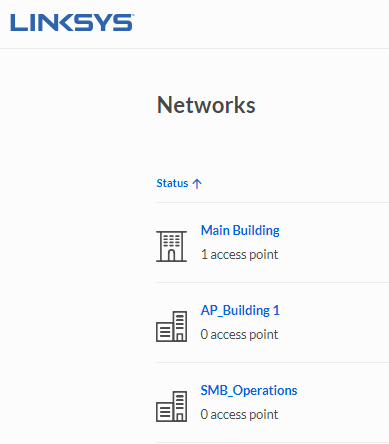 NOTE: The Linksys Cloud Manager only supports open or WPA2™ security. To use other types of security such as WEP (64 bits or 128 bits), WPA™ Personal, WPA/WPA2 Personal, WPA2 Enterprise, WPA/WPA2 Enterprise or RADIUS, you will need to disable the cloud manager and manage the access point using the local interface only. To learn more, click here. 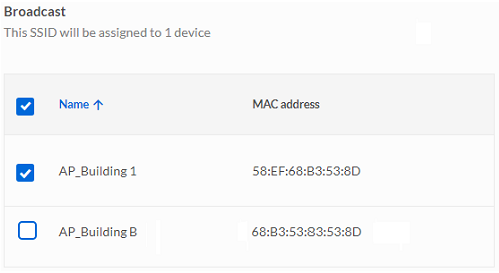 To assign the SSID to specific access point, click on the Change link and select an access point. Once you are satisfied with your settings, click Create. You have now created a wireless SSID. To learn more about the SSIDs page, click here.